Pluto is a long way away, more than 4 light hours. In July the NASA New Horizons spacecraft screamed by Pluto and moons, recording images as fast as possible. Since that time, the spacecraft has been transmitting the data back to Earth. At abut 2000 bits per second or less, It will take a year to download everything. This month the first images from the closest encounter are arriving, and NASA has released some of the first ones. Meanwhile, science results are emerging in articles and talks this fall. One analysis byt Alexander Trowbridge and coleagues suggests a liquid ammonia below the frozen surface. This is consistent with suggestions that some of the visible features resemble volcanoes. As many people are commenting, these findings from Pluto are part of the overall picture of a geologically active (if alien) solar system. Trowbridge, A. J., H. J. Melosh, and A. M. Freed, Vigorous Convection Underlies Pluto\rsquos Surface Activity, in AAS/Division for Planetary Sciences Meeting Abstracts. 2015. p. #102.01. 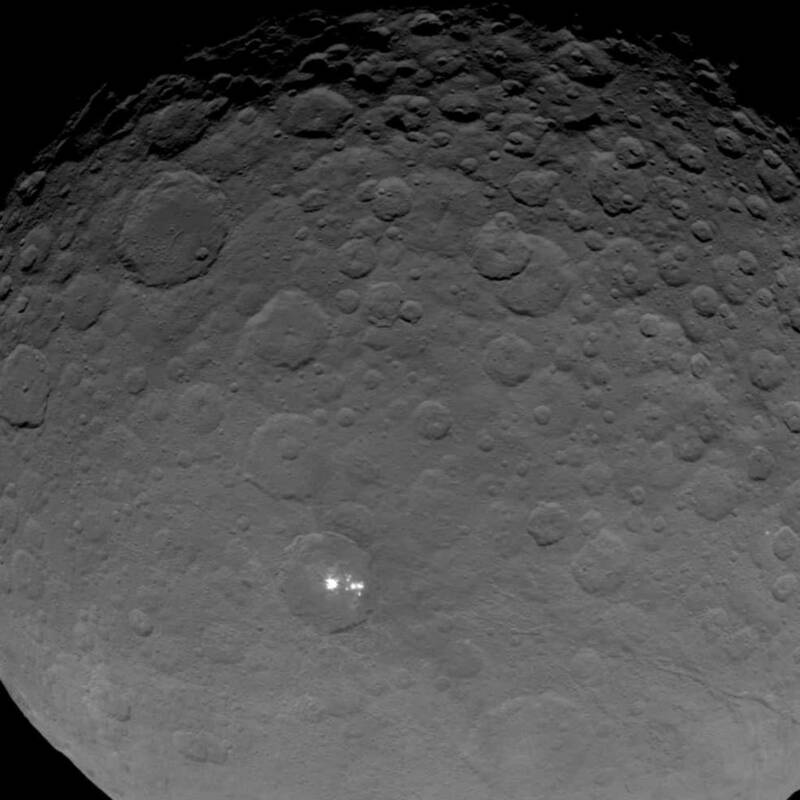 Earlier this summer, the Dawn spacecraft observed some striking “bright spots” on Ceres. NASA made this into a PR game, challenging the public to vote on what these spots are (ice, salts, whatever). That was in April, and Dawn has collected more data, including spectral data. But NASA is still milking this “mystery”, releasing more detailed (but scientifically negligible) monochrome imagery and fancy animations, laying on the hokum, “Soon, the scientific analysis will reveal the geological and chemical nature of this mysterious and mesmerizing extraterrestrial scenery.” Soon? My prediction is that there will be splashy press releases accompanying papers at the big conferences this fall (AGU in December and AAS in January for sure). That would be about normal for writing up important results. I’m sure there will be results from Rosetta and New Horizon at those same conferences. For comparison, I note a nice blog post by Carly Howett, “New Horizons Probes the Mystery of Charon’s Red Pole”. Without condescending, she walks through the question of the red appearance of Charon’s surface. She explains some exotic chemistry that can generate Thorin, a Nitrogen, Methane, and Carbon Monoxide ice, which she hypothesizes are the constituents of the deposits we observe on Charon. To me, this keeps my interest far better than boneheaded public opinion “polls”. Science is about careful thinking, not about guessing. And I really like getting insight about the thinking behind the hypotheses, which good science teachers do so well. The few images from the navigation camera released so far aren’t extremely detailed. The real data will come later. In fact, it will take the rest of the year to return all the data collected Tuesday! That’s how far away, and how tiny the spacecraft and it’s radio are. Congrats to the team, and let’s have some solid reports in the coming months. 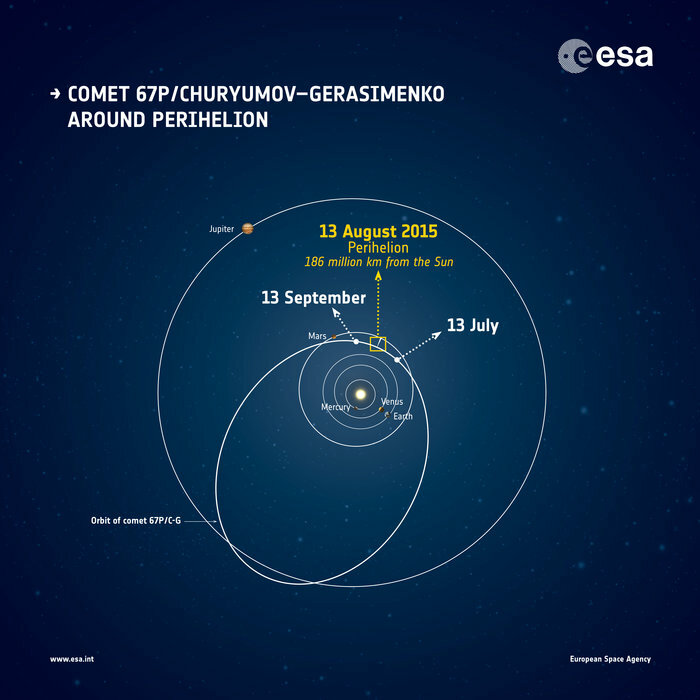 The next cool thing will be Rosetta’s observations of 67P/CG as it sweeps through perihelion on 13 August. (Perihelion is actually not that close, about 1.24 AU—which is a good thing, otherwise I don’t think either the comet or Rosetta would survive for long.) This will be the first time we’ve been able to observe the surface and atmosphere of a comet as it passes through this dramatic lifecycle. Truly ground breaking science, whether or not there are photogenic images or not. Now that we have see the rugged and deeply fractured state of 67P/CG, we have to consider whether it might actually break up while Rosetta is watching. That might be cool to see, if possibly hazardous for the spacecraft. Rosetta will continue to ride 67P/CG back out into the cold, returning data until at least September 2016 (the end of current funding). This will be an opportunity to observe the cooling and quieting of the comet, and to record “after” images to go with the “before” pictures from last year. Out Ceres way (yet another good name for a band! ), Dawn had a problem when it restarted the ion engine to move to the third, and lowest orbit. It is now still safely idling in the second orbit, being evaluated. We’ll see what happens—Dawn has performed incredibly well, and has been very robust. I expect that they’ll be able to reconfigure and proceed to the lower orbit, if later than originally planned. ESA announced that the Rosetta mission has been officially extended by nine months, which will allow significant data collection after perihelion in August. This seems like a no brainer to me. I mean, if you go all the way out to 67P/CG, you want to collect data until you run out of sunlight, no? And you want to get as much before and after data as possible, right? But this is the Extremely European SA, so there are carefully documented decision making processes. The New Horizons is closing on Pluto, and there should be more and more imagery coming in the next three weeks. Stand by for planetary-scale hype! 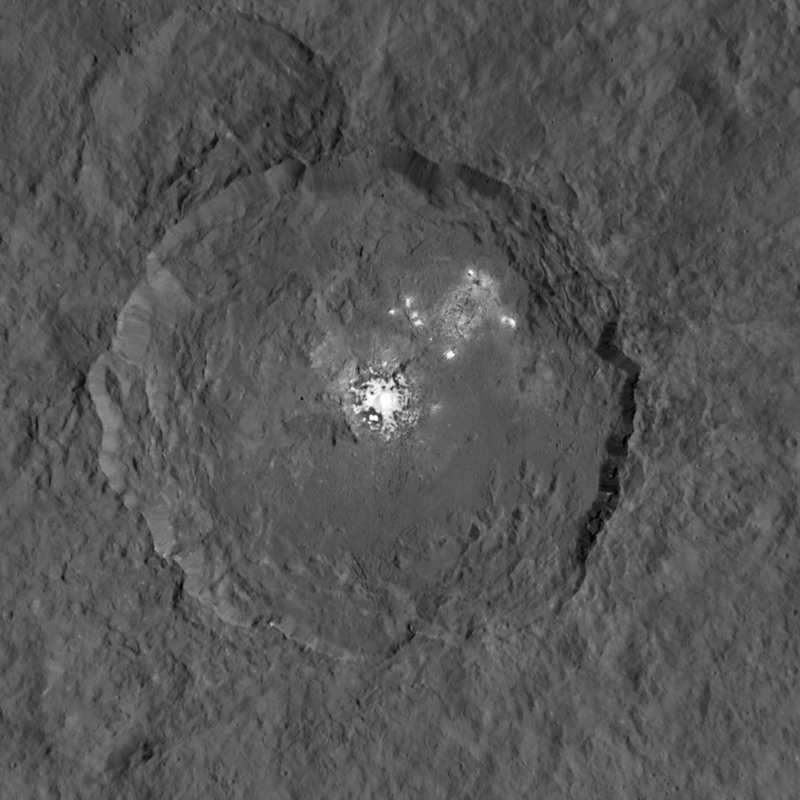 Meanwhile, NASA PR is milking the “mysterious bright spots” on Ceres for all it’s worth. Despite weeks of observations, the NASA press releases are still teasing us with “is it ice or is it salt”. Sigh. At least they could tell us some details about what observations are being made, and how they will be evaluated to identify the bright material. Space exploration certainly has a lot of “hurry up and wait” to it, no? Decades of slow travel, followed by frantic activity, followed by weeks and months of data crunching. It’s not the way Hollywood shows it! This summer we are following three robot probes, “New Horizons” (closing in on Pluto for a dramatic flyby), “Rosetta” (riding comet 67P/CG around the sun), and “Dawn” (orbiting Ceres). Lot’s will happen this summer. We are waiting patiently for a 14 July Plutopalooza. The imagery and data isn’t exciting yet, though we are getting the closest views ever, and finding moons. I’m sure we’ll know a lot more real soon now. Rosetta is clucking away, sucking in unprecedented close up data as 67P/CG heats up and spews gas. 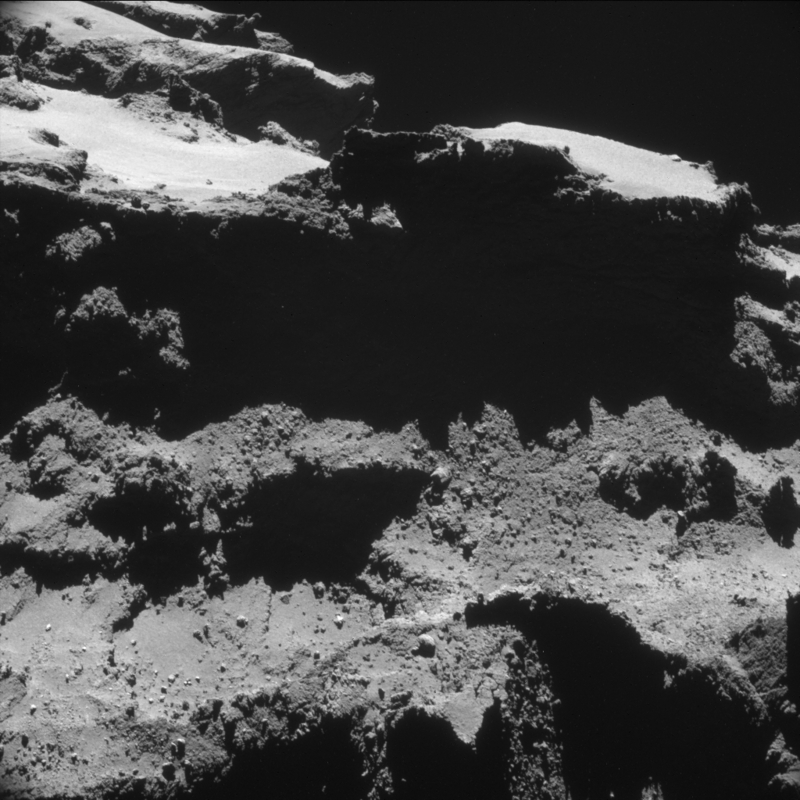 It is now just visible from Earth, showing the beginnings of the class comet tail we all love to see. Comet 67P (center) with a visible tail taken at the TRAPPIST observatory in Chile on April 18, 2015. Image Credit: E. Jehin and Team. And Rosetta is gathering lots of other data from many instruments. 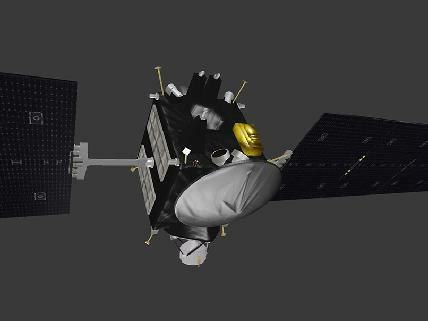 Dawn will collect more data and then move to a lower orbit and collect even better imagery.